A wide variety of Wi-Fi extenders is available in the market. Netgear, ASUS and TP-Link are some of the major companies producing these devices. Many of them feature their own various components producing a high range Wi-Fi network. With keeping the aim similar, there are a bunch of other features available in many of these. People should look at these to ensure that they are buying the best suitable product in their price range. One of them is the total Wi-Fi acceptance and deliverance range. Nighthawk X6S Tri-Band is a Wi-Fi extender. It uses 2.4 and 5 GHz channels to customize the range of a Wi-Fi network. It uses combined speeds which can go up to 3Gbps. X6S offer the best performance for a Wi-Fi extender as it can deliver a peak speed of 526 Mbps of data across 50 feet. It is 11% more efficient than the TP-Link RE650 which delivered 472.6 Mbps across 75 feet. Mum-Mimo techniques are a part of this extender which uses beam-forming to connect to a number of devices. A total of 2500 square feet can be covered with the help of six antennas which amplify the signal. X6S can further pass its signal to other similar devices to form a mesh-like arrangement in large buildings. It features SMART ROAMING which allows the connectivity of mobile devices to the Wi-Fi having the highest signal strength. There is a quad-core processor which allows 4K content streaming and gaming free of any kind of lag. 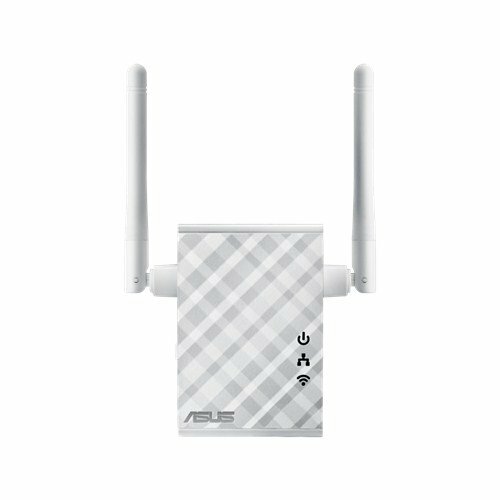 Asus RP-AC68U is an Asus’s Wi-Fi repeater which uses 2.4 and 5 GHz frequencies. This dual-band of repetition allows multiple users to experience less congestion in there streaming. This much faster 5 GHz frequency satisfies users in transferring large files and offers a data transfer rates up to 1900 Mbps. There is a smart LED indicator which help in visualizing the strength of Wi-Fi signal. Asus AiCloud can be used to access files from the cloud. A USB 3.0 port is placed on the wireless router from which any user can transfer files from a number of devices. The Ethernet using devices can connect directly to the router via 5 ports included in the package. Wireless speed on the 5 GHz band is about 1300 Mbps and about 600 Mbps on a 2.4 GHz frequency. So, in turn, a combined speed of about 1900 Mbps is observed. The wireless repeater installation is installed in about a second with the help of a single button without the use of any disk or application. The Nighthawk X6 supports 2 antennas. One is dedicated to a transfer rate of about 866 Mbps on 5 GHz frequency and the other one is lowered down to about 2.4 GHz to transfer data at a rate of 400 Mbps. The X6 is a cut in a triangular shape which provides it a quite distinctive look. It weighs about more than a single pound which allows it to remain mobile. There is a WPS button on the backside of the X6 which is used for the initial connection and routing. An On/Off and a reset button is also placed there along with the power port of DC. The quad-core processor boosts the performance allows better streaming of the 4K content. One push button function allows the instant setup by the press of a single button. 4 high-performance antennas are included in the package which allows broader signal amplification to cover about 2000 square feet of Wi-Fi area. X4S is a Nighthawk’s Wi-Fi network extender which features a combined speed of about 2.2Gbps. It includes the fastlane3 technology which automatically establishes a dedicated Wi-Fi link to the base router without the bandwidth of the Wi-Fi in half. The smart roaming technology allows the connection of mobile devices to the strongest Wi-Fi link. 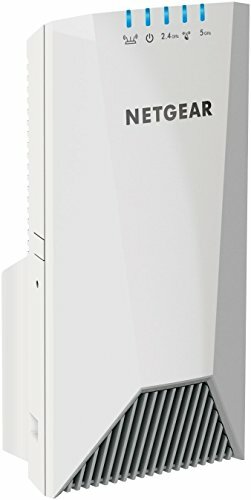 This home Wi-Fi booster can work in 0 to 40 degrees calcium temperatures. Above 40 degrees environments can cause a little damage to the components inside. But it is still safe to use in a home as room temperatures will be always less than 40 degrees. There are two channels available in this range extender. One features a frequency of 5GHz which can create 2 bands. Both of them feature a transfer rate of about 866 Mbps. The second one works at a 2.4 GHz frequency with the transfer rate of 400 Mbps. 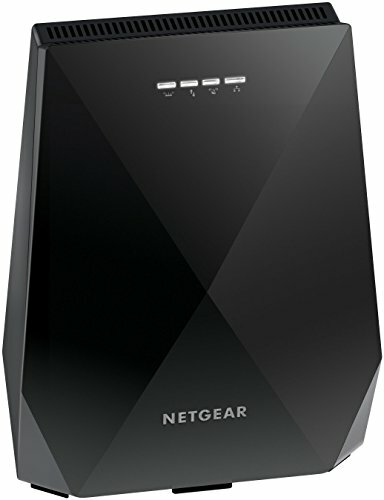 This internet extender features the wifi mesh network, so a stable Wi-Fi connection would be observed throughout the home. Whether you have placed the router in the living room, it would feature the same signal strength in the upstairs bedroom. 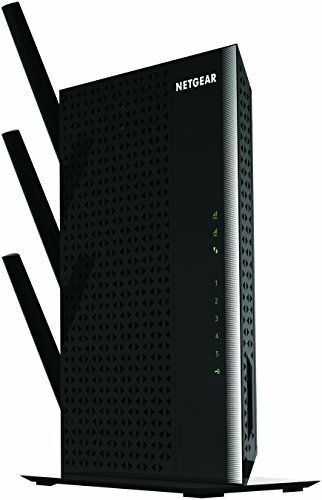 AC1900 is Nighthawk’s internet booster with a dual-core processor operating at a clock speed of about 1 GHz. The Wi-Fi amplifier features a NETGEAR Up app which is used to run it with the help of mobile devices. The Beamforming+ features improve the overall range of the Wi-Fi with the high powered antenna. It is also voice controllable. The ReadyShare vault can be used to save a backup on your PC with the help of software. This allows the proper rollback action of SSID and wireless security settings. The AC1900 features two different transfer rates of 600 and 1300 Mbps which allows the lag free gaming experience. These high transferring rates and the dual core features processor allows unlimited continuous streaming of HD content without any buffering encountered in the process. You can also store the media with a USB 3.0 port on the router and create an automatic backup. 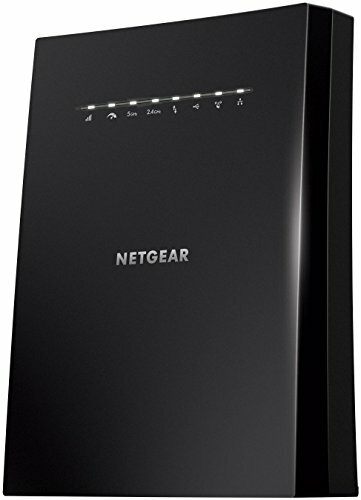 AC1200 is Netgear’s Wi-Fi extender. 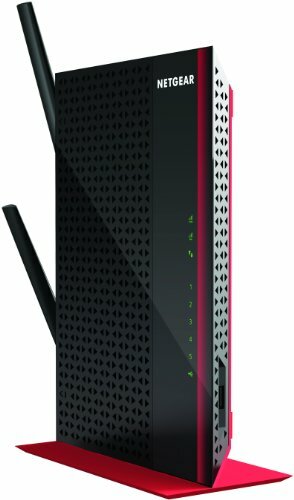 The AC1200 features a dual-core ARM A9 processor which optimizes the Wi-Fi at much higher speeds. There are 5 Ethernet ports available at the side of the Wi-Fi booster which can connect various peripherals such as game consoles, televisions and some DVD players. There are 5 antennas available for Wi-Fi coverage which are powered by 700mW amplifiers. This Wi-Fi amplifier can be used to easily amplify the mobile hotspot signals from various phones as they have less Wi-Fi hotspot signal range. The Wi-Fi booster can use 2.4 and 5 GHz frequencies in the process and form a transfer rate up to 1200 Mbps. This Wireless range extender is compatible with a number of browsers. It weighs about 0.67 pounds. The package includes 2 antennas, power cord and a adapter, an installation guide in a form of a booklet. It is currently priced at $89.99 and has received a feedback rating of about 4.4 out of 5 from various customers. 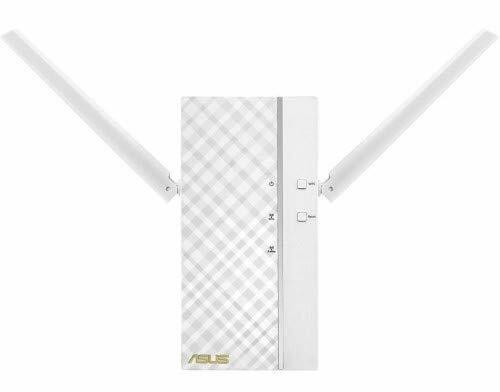 N300 is Asus’s Wi-Fi range extender which features 2 dBi antennas. 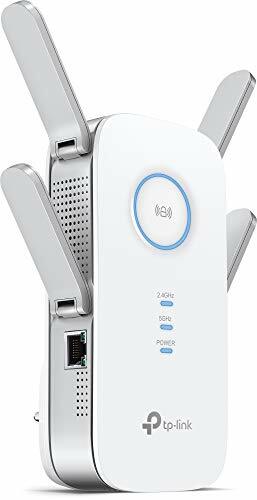 Installation of this device is pretty easy as there is a signal indicator available on this range extender which could be used to found out the best possible position where it can be installed while keeping the Wi-Fi’s strength a priority. There is a Fast Ethernet port which enables a single Ethernet enabled the device to be connected. There is no disk required for the installation. Pressing the WPS button a single time would be enough. To show the signal strength to the users, there is an indicator placed on the front panel. The Wi-Fi extender can be easily connected to a number of devices such as a television, a gaming console or a personal computer. It is declared as best Wi-Fi booster that ASUS has ever produced. It also features a 3-in-1 range extender, media bridge and access point. N300 is TP-Link’s wireless booster which has the capability to expand the high-speed wireless signal. It can be used to connect multiple devices, such as printers, televisions and gaming consoles. The access point delivers support for many functions such as downloading and video streaming. The Quick Security Setup known as the QSS allows maximum and instantaneous security setup just by pressing of the QSS button which further enables WPA@ secure connection, much efficient than WEP encryption. The router can be easily placed at 100 feet away than the access point and still be able to capture the best signal from it, even through walls and ceilings. Its speed range up to 300 Mbps, which makes video streaming possible as well as online gaming. Two separate antennas are aligned which can be rotated according to the placement of the router whether it is mounted on the wall or on the table. It is one of the best Wi-Fi extenders. AC66 is ASUS’s best Wi-Fi booster. It features dual-band frequencies of 2.4 and 5 GHz. 2.4 GHz clock speed has a transfer rate of 450 Mbps and 5 GHz features a transfer rate of about 1300 Mbps. Total speed reaches 1750 when both used. So one can efficiently browse the web and download files at 2.4 GHz and play online gaming and stream HD content at 5 GHz frequency without experiencing any lag. 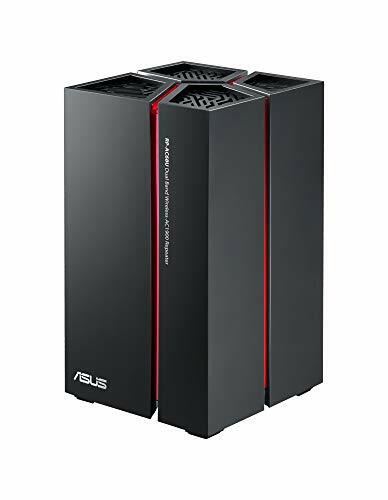 It includes ASUS AiMesh which allows the connection of multiple ASUS routers to create much powerful and flexible Wi-Fi network. This wireless repeater comes with a dual-core processor which allows the smooth flow of HD content and uninterrupted downloading. It has a USB 3.0 port which is perfect for file sharing and remotely accessing as well as streaming of content. An ASUS router app is setup this Wi-Fi range extender. It can also be used to manage the total network traffic and diagnose the problems encountered. It can be updated on its own without the connection to a personal computer. It is one of the best Wi-Fi range extenders in the current market. AC2600 is Wi-Fi amplifier from TP-Link which can cover the area of about 14,000 square feet. This Wi-Fi repeater can operate on two mainstream frequencies of 2.4 and 5 GHz and cooperate to produce about 2600 Mbps. This high bandwidth can easily stream HD content of multimedia, allow lag-free gaming and transfer large files. There are about four antennas which can be adjusted so that all 4 directions can be covered. There is an Ethernet port that can provide a wired network connection. It can cover about 14,000 square feet of area. 1733 Mbps bandwidth is due to the 5 GHz connection and 800 Mbps transfer rate is generated by 2.4GHz. Game console and smart TV can be easily connected through the Gigabit wired connection. There is a small LED indicator, which allows the user to observe the best possible location by signaling light. It is one of best Wi-Fi booster that TP-Link has produced in the market. 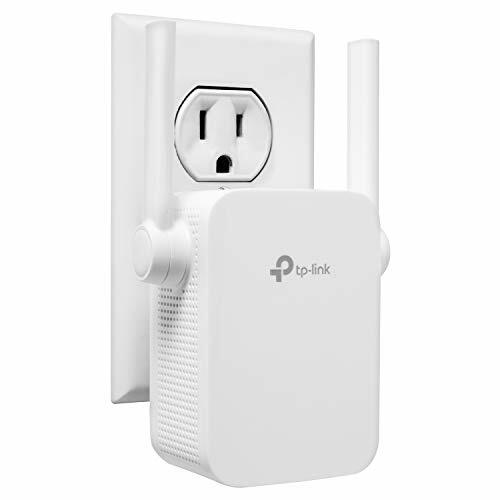 AC 1900 is TP-Link’s wireless repeater which features ideal components necessary to extend Wi-Fi to a gaming computer, mobile devices such as the iPhone 7, the Samsung Galaxy S7, TP-Link smart plus, and its smart bulbs. It can work with any gateway of the Wi-Fi network. There is a LED indicator on the device which allows the user to determine the best possible location to mount the device. This best Wi-Fi repeater can cover about 14,000 square feet with the help of amplified 4 antennas. 600 Mbps transfer rate is featured by the 2.4 GHz connection and a bandwidth of about 1300 Mbps is produced by the 5 GHz. The Beamforming technology can target Wi-Fi signal to a specific device for relatively stronger connections. The total weight of this internet extender is about 400 grams and power consumption is 12 Watts. It is dubbed as the best Wi-Fi extender in the market that has been produced by TP-Link.